Granview at Saujana Puchong delivers what its name promises - grand views. 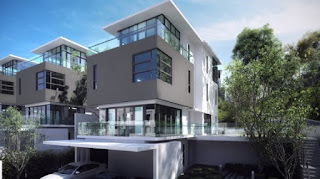 Located on one of Puchong's highest points at about 450 ft above sea level, Granview exclusive residences are sprawled across a hilltop along the fringe of the Ayer Hitam Forest Reserve. Where you wake up to amazing views of calming greenery - a rare sight in city suburbs. What's more, residents will get to enjoy the best of both worlds - quiet, breezy days with unrivalled views of the cityscape and the Ayer Hitam Forest Reserve; and all the conveniences of city life. While its location is undoubtedly one of the most noteworthy aspects of Granview, it is not the only feature that makes it such a highly sought-after residential address.